These Supervisors have all completed our Certificate or Diploma in Supervision. For the Diploma and Certificate programme supervision sessions please see the specific list of Supervisors on Supervision when making your choice of Supervisor. I am an experienced counsellor working mostly with addiction. I live in Shaftesbury and am the manager of a large team of counsellors in a residential treatment centre in Wiltshire. I supervise individuals and groups, and also work with families, facilitating family conferences. My background includes facilitating group therapy in prisons and therapeutic communities. I have also worked for a university student counselling service and have taught counselling skills in an adult education setting. I am based in North Dorset easily accessible from Somerset and Wiltshire.I am also in London weekly on Wednesday Thursday and occasionally on Friday. 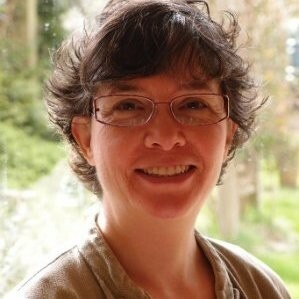 Experience/qualifications : I am a UKCP registered independent psychotherapist and supervisor with a nursing background. 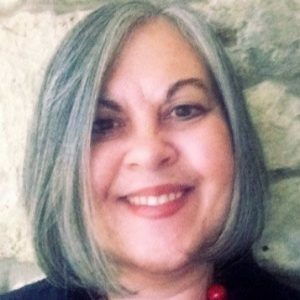 I have been a qualified counsellor since 1992 , completed an MSc in Integrative Psychotherapy in 2005 at the Metanoia Institute and a Certificate in Supervision at CDST in 2011. I have been providing clinical supervision since 2007.I worked with both supervisees and supervisors offering individual and group supervision in a wide range of contexts including the NHS, multidisciplinary and specialist teams in the community and more recently schools when working in partnership with the Place2be counsellors. In the last 14 years I worked in the field of addiction at For Families a division of Action on Addiction (formerly Clouds) that supports families affected by addiction.I was Leader of Therapeutic services since 2007 developing innovative therapeutic interventions, accredited training, managing and supervising a team of counsellors and projects. Particular area of interest: the parallel process in supervision especially when working in the field of addiction where blame &shame can be recurring themes. I am interested in organizational supervision, systemic work with team/families, mentalization based treatment with individuals and families. My approach :I like to work collaboratively and I am keen to make supervision a two way stimulating, helpful & transparent process.I work integratively using the Seven-eye supervision model and draw from various thinking such as TA, CAT, MBT, CBT, Systemic Theories, Person centred,Self Psychology, Psychodynamic ,Attachment and Neurobiology to understand clients’ presentation. I live and work in Isleworth, West London and have, since qualifying, been providing counselling, psychotherapy and supervision for the last 18 years. 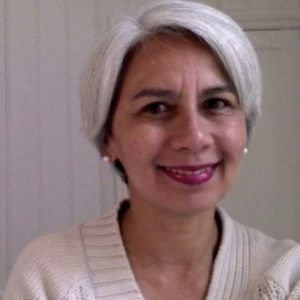 I am the author of BACP's Information Sheet G8 'Counselling Asylum Seekers and Refugees'. I am accredited through the Independent Practitioner Network process through my ongoing participation in a full member group. I am currently completing an MA in Psychotherapy and Healing (Middlesex University) and describe myself as a Person-Centred Jungian. I am particularly interested in the overlap between ancient healing traditions and modern depth psychology. I work from his home near Ross-on-Wye, Herefordshire as well as in Chepstow, Monmouthshire. 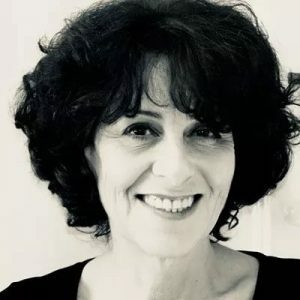 I am a UKCP registered gestalt psychotherapist, supervisor and trainer with over 20 years of experience in the private, NHS and third sectors working with individuals, couples and groups. 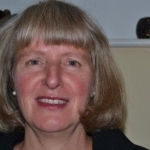 I am currently a primary tutor on the Advanced Diploma in Gestalt Psychotherapy course of the Welsh Psychotherapy Partnership in Cardiff, and have taught at the Metanoia Institute. I am particularly interested in the relational aspects of shame and its impact on individuals and organisations, and in particular how it may present in the therapeutic and supervisory relationships. I am currently located in Borough of Broxbourne, Hertfordshire and I do cover areas around my location, including, Hertfordshire/Essex (Harlow/Epping/Waltham Abbey Area) and Middlesex (Enfield). 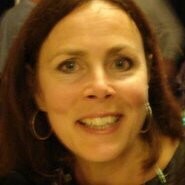 I am a UKCP registered Transactional Analyst Psychotherapist and Supervisor based in Marldon, South Devon. I originally trained as an integrative counsellor and am BACP accredited. I have over fifteen years experience working as a therapist in the NHS, voluntary and private sectors with individuals, couples and groups and am a specialist in gender identity issues. 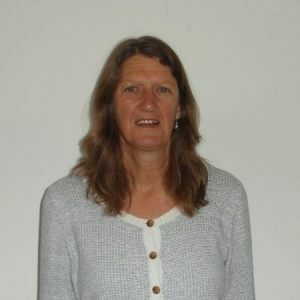 I am based in Bridport, Dorset and qualified as a clinical supervisor in April 2007 and I have over 10 years experience in supervision and counselling with counsellors (and trainees) and psychotherapists. I am currently offering Skype supervision only. I am based in Bath at My practice is in the centre of Bath and is easily accessible if you are using the bus. There is limited on-street parking close by, but plenty of parking just a few minutes away My Practice is based at 15a Cheap Street, just a few steps away from Bath Abbey. Qualified Psychotherapist in practice with individuals since 1996. I am also a couples therapist since 2005. I am a trained Supervisor and can provide Supervision to Psychotherapists, Counsellors and others in the helping professions. I am also a qualified and registered Social Worker since 1986. I am an experienced Psychotherapist working with long term clients. My training is Humanistic, Psychoanalytic and integrative and these theories strongly influence and underpin my work. I believe that psychological suffering arises from difficulties in our early relationships. By providing a therapeutic relationship that is warm, accepting and authentic an environment is created where it is possible for difficulties to be understood and resolved. My training as a Supervisor has been with The Centre for Supervision and Team Development in Bath. This training is an integrative model which is appropriate for all theoretical approaches and meets the standards for the Directory of Approved Supervisors of UKCP. I supervise individuals and groups in the helping professions including Counsellors and Psychotherapists. London, N15. I work part-time as a counsellor for the NHS supporting parents with ill and dying children and part-time as a private practitioner providing counselling and supervision. I also volunteer at St Joseph’s Hospice where I provide counselling for carers and palliative care patients. In my practice I have been influenced by the Person Centred Approach, Narrative Therapy, Solution Focused Therapy and Positive Psychology and these models have shaped my ideas about supervision. I am interested in collaborations and mutually assessing how helpful I might be as a conversation partner to those who are seeking supervision for their practice. I see my role as opening the supervisee’s eyes to noticing more of what he or she has seen and done. The following quote best encompasses the supervisory relationship I hope to create with supervisees. - ‘The nature of supervision thus changes from SUPERvision, where the supervisor is considered the expert with privileged knowledge telling the supervisee how to proceed, to co-vision and co-created-vision, where the covisee is considered the expert and is expected to know more about what is happening in his or her sessions.’ (Edward and Chen, 1999). 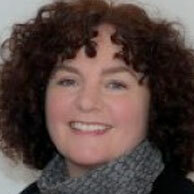 Julie Jeffs, UKCP Registered Psychotherapist and Professional Supervisor in Plymouth. Offering Individual and group supervision to people in the counselling, psychotherapy and health care professions. isn’t. Having been exposed to the cruel realities of war and political conflict in my twenties I became deeply aware of the immense suffering we are capable of inflicting on each other. I am experienced in supervising trainee and qualified counsellors, psychotherapists and coaches who work with adults as well as alternative practitioners and other facilitators of change. My earlier work included working with homeless men and those afflicted by Alzheimers. I have run groups for people wishing to cease participating in intimate violence as well as managed a successful private business. 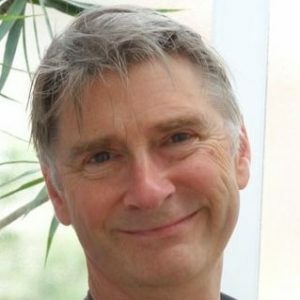 Past posts include Chair of the Chiron Association for Body Psychotherapists Ethics and Equal Opportunities Committee. I am bilingual and fluent in both English and Hebrew. I live and work in Dorking, Surrey. I supervise both groups and individuals. For the last 9 years I have been working in a University Counselling Centre. As well as counselling and training I have supervised placement students on both PhD and Diploma Counselling courses as well as practicing therapists. My original training was in Psychosynthesis and the process and experiential focus of the CSTD training fit well with this way of working. I supervise students on the Psychosynthesis Diploma course at Re-vision, London. I have also trained in Psychodynamic Adolescent Therapy (WPF), Relate Couples Therapy, Eco-psychology and Energy Psychotherapy. I have been lucky to experience excellent clinical supervision for my own work and I am passionate about creating a space to allow the sacredness of therapy to be nurtured and for this to inform practice. I am also happy to provide Skype supervision. Near Bradford on Avon, Wiltshire and work as a Counsellor/ Psychotherapist, Trainer, Supervisor and Group Facilitator. I have been working directly with individuals, groups and organizations for over 20 years. I aim to work in ways that are accessible, supportive, creative and empowering. Counselling, Cert. Supervision, Dip SW, Adv. practitioner MET. 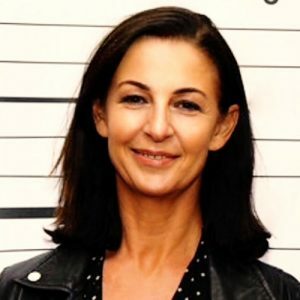 I have a private counselling and supervision practise in East Sussex and London and am primarily supervising counsellors/psychotherapists as well as students in training. Margli Matthews, PG Dip. Counselling, Dip. Biographical Counselling, Cert. Supervision CSTD, MBACP (accred), UKRCP and CAHSC registered. I am a counsellor, supervisor and trainer with over 20 years of experience. I am an experienced counsellor based in Cardiff. 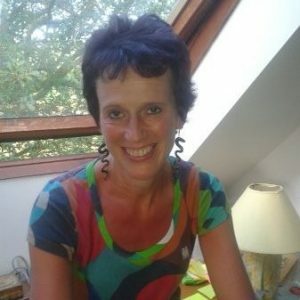 I work as a Human Givens Therapist in private practice from my home and as a student and school counsellor in Christ College Brecon and Cardiff University. 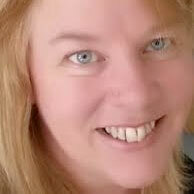 I am a Human Givens integrative therapist with 16 years experience of working with children, adults and couples. My background is in teaching and I have lectured counselling also. I have worked as a bereavement counsellor, a school counsellor, and a play therapist. Recently a lot of my work has been with survivors of extreme trauma and sexual abuse, experiencing complex trauma and PTSD. I find the Human Givens Rewind technique extremely effective for detraumatization. I have recently qualified as a supervisor and I very much enjoy the richness of working with supervisees using Hawkins and Shohet’s multi layered 7 eyed model. I am happy to work by telephone or Skype if this is preferred. I live in Birmingham where my therapy and supervision practices are currently based. I have worked in private practice with individuals since 1999 and as a supervisor since 2005. 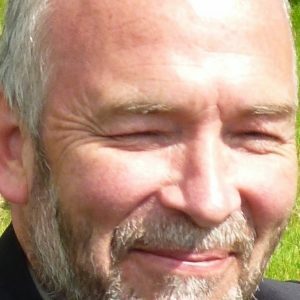 I am currently completing a Masters’ Degree in Gestalt Psychotherapy at Metanoia Institute, London, and have a background in music and in teaching.My current supervision practice is with counsellors and therapists, but I am also interested in working with practitioners of other disciplines. My experience includes working for the NHS and in Further Education where I have trained counsellors. I am most experienced in Gestalt and in Person-Centred models but have a wide interest across the spectrum of therapeutic paradigms. and have contributed chapters to "Passionate Medicine", edited by Robin Shohet, published by Jessica Kingsley. I am based in Birmingham. I am a qualified Counselling Psychologist (2005) and I completed my doctorate in 2009. I am employed by the NHS where I currently work in Eating Disorders and Early Intervention Psychosis services. I have also previously worked in Primary Care Psychology, Substance Misuse, and an IAPT service. I have experience in working therapeutically with a wide range of psychological difficulties and mental health problems. My passion is to help people identify the habits and problems that keep them off-track in their lives, and help them align their values, strengths and actions to enable them to move towards the life they desire. I have been providing individual and group supervision for several years to a number of health professionals, including practitioners from psychology, CBT therapy, counselling, CPN, and OT backgrounds. I see supervision foremost as a relationship that provides a safe space to grow as a practitioner and a person - to reflect, experience, experiment, laugh, learn, develop in competency and discover personal wisdom. 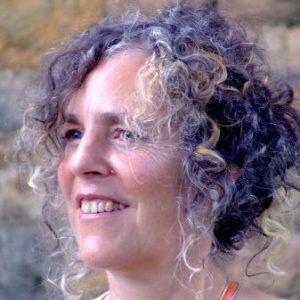 I am an experienced Embodied-Relational Psychotherapist and Trainer and live in Stroud, Gloucestershire. I have also worked as a counsellor and group worker at a local drug and alcohol rehab. My accreditation is through the Independent Practitioners Network. In 2006 I initiated the Gloucestershire Networking Group for Counsellors and Psychotherapists; a county wide professional resource for practitioners. I hold a certificate in supervision with the Centre for Supervision and Team Development. In my work as a supervisor I work in depth with the relationship that develops between the therapist and client. Encouraging the supervisee to both be fully available to be related to by the client but also to be able to stand back and witness the unfolding dynamics. I also work with the alive relationship in the room between myself and the therapist; to explore what may be replaying from the client material and to create an honest relating. As a body Psychotherapist I’m interested in supporting therapists to explore bodily experience, both their own and their clients. Working with internal sensation, breath, movement, posture, illness, etc can bring a wealth of therapeutic material and wholeness to the work. It can feel exposing to share in depth ones work. The supervisory relationship at its best is safe and challenging; where the supervisee can risk talking about their mistakes, fears and doubts. At times it can also be inspiring and nourishing. My aim is to create honest and transparent supervisory relationships so that risks can be taken and deep learning can occur. To be the best therapist we can be, we need to be supported to be authentically ourselves. I am an experienced BACP Senior Accredited counsellor (Integrative training) with experience of working short and long term with adult clients. 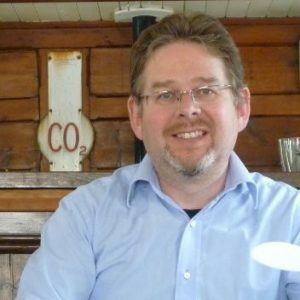 I have a particular interest in working with clients suffering from trauma and offer EMDR (Eye Movement, Desensitization and Reprocessing), EFT (Emotional Freedom Technique or tapping) and IFS (Internal Family Systems therapy). I also offer less verbal ways of working, for example, sandplay and Developmental Transformations (DvT). I am a BACP Senior Accredited supervisor of individuals. Supervisees range from counselling students in training to seasoned long-time professionals. I supervise in person, on the phone and via skype. My most thorough supervision training has been in the 7-eyed process model (Hawkins and Shohet Supervision in the Helping Professions) but I have also had some training in creative supervision and integrative relational supervision. BACP has recently accepted an article for publication in Therapy Today entitled ‘Feedback in the supervisory relationship’. 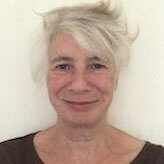 I am based in Bath and a psychotherapist, supervisor and trainer who has thirty years experience of supervision. My work is mostly with counsellors and psychotherapists, including those who are in training but have also supervised others in the helping professions including social workers, nurses and psychologists. 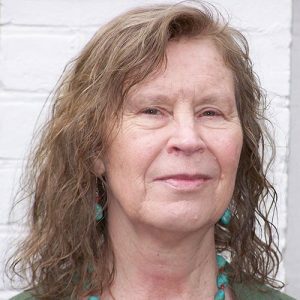 I have been a trainer with CSTD for many years and was a co-founder of the Bath Centre for Psychotherapy and Counselling where I worked as a trainer for 20 years. I was also a co-founder of Psychotherapists and Counsellors for Social Responsibility and have an interest in bringing together the social and the therapeutic. My book, published in 2009, is entitled 'Being White in the Helping Professions: An Intersubjective Approach to Intercultural Working'. I also run a project for psychotherapy and counselling with refugees and asylum seekers. I work at The Practice Rooms in central Bath, and from home in central Bristol. I offer supervision to trainee and qualified psychotherapists, counsellors, coaches and mentors. Supervisees tell me that they look forward to supervision and appreciate the warmth, acceptance, humour and support that characterise our work, and the learning and development that they gain from it. I too love the supervisory experience and find it rewarding both professionally and personally. 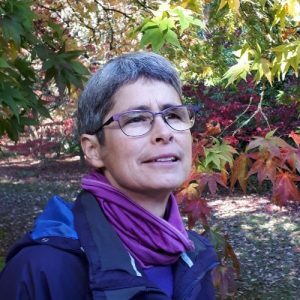 I am an experienced professional, working as a psychotherapist, counsellor, coach and mentor myself, and teaching at Bath Centre for Psychotherapy and Counselling. I have been supervising counsellors in private practice and in Primary Care since 2000, and I am also a supervisor member of Counsellors & Psychotherapists in Primary Care (CPC), and have worked with Psychotherapy and Counselling Psychology students on placement. I work privately by telephone with counselling and supervision clients from around the world, but I am based in California. 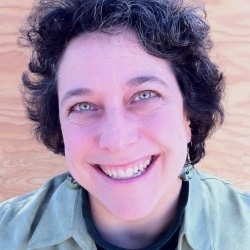 Amy Skezas JD, DD. I've enjoyed taking the CSTD courses Core, Therapeutic, Group, Teams & Organizations, Differences, and Advanced as well as Training the Trainers. Since 2005 I've worked and played with my colleague Joseph Hiller in the USA to design and deliver a series of trainings in renewal and reflective practice based on the CSTD model, mixed with original awareness/consciousness exercises to increase the fluidity and luminosity of the awareness brought to supervision by the presenter, the facilitator, and the observer(s). We are co-creating a peer-to-peer supervision network and a culture of supervision for helping professionals from a variety of walks of service (many of whom have not heard of/practiced supervision before). 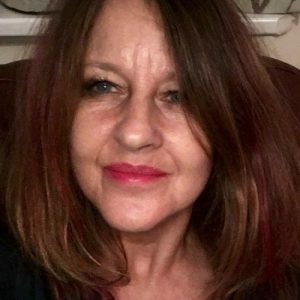 Jan Slater has many years experience as a counsellor and now supervisor, working in variety of different organisations, Relate, Cruse, private residential addiction units, employee assisted programmes. 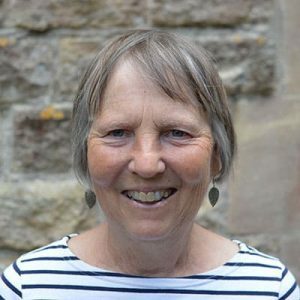 Location of Practice: I live and work in Glastonbury, Somerset where I provide counselling, psychotherapy, supervision and mindfulness training to individuals, couples and groups. I work with clients face-to-face, over the phone or online. My first career was as an artist, teacher and a restorer of medieval stone sculpture in churches and cathedrals which I practised for sixteen years. During that time I became interested in how the creative process and mindfulness both generate a therapeutic state of 'flow' and I started an experimental art therapy group for psychiatric patients at Bristol General Hospital to explore this further. In 1997 I began practising Buddhist meditation and later I trained in person-centred counselling. In 2016 I was awarded a Post Graduate Certificate in Mindfulness-Based Interventions from Bangor University and in 2018 I gained another PG Certificate in Supervision from the CSTD, Bath. I work from a perspective that uses a person-centred approach to focus on an individual client's specific issues on the one hand, and on the other hand uses mindfulness to develop awareness of our mental processes including sense perceptions, thoughts, feelings and impulses that combine to make up our common human experience. These two therapeutic approaches, the one focusing on an individual's specific experience and the other focussing on the universal mental processes that account for our humanity, complement each other well and are effective in resolving a wide range of difficult personal issues. I offer homeopathy and supervision for homeopaths and other health professionals, based in Bristol (Bedminster) and Wells. I have been working as a homeopath for 25 years and as a supervisor for 15. I have been working as supervision principal at the School of Homeopathy for the last four years and I also supervise qualified homeopaths. I am open to supervising other health professionals. I offer a free initial session to talk about your supervision needs. I am a Consultant Teacher and Trainer for an inner City Behaviour Support Team. I live and work in Nottingham. Prior to establishing my private Supervision Practice in 2010, I supervised professionals in a Multi Disciplinary Team, including Teachers, Social Workers, Mentors and Youth Workers. I am highly experienced in facilitating a group problem solving process for teachers and multi agency professionals, to support them to meet the needs of children with challenging behaviour. I have enabled this practice to become more widely available in schools throughout Nottingham and also provide training on this process to professionals within Children’s Services and Educational Psychology students at Nottingham University. I am also a contributor to the book “Circle of Adults: a team approach to problem solving around challenging behaviour and emotional needs” by Colin Newton and Derek Wilson, 2006. Fundamentally I believe supervision can provide a reflective, restorative and transformative space which can empower the supervisee and enable them to be more attuned to meeting the needs of their clients. 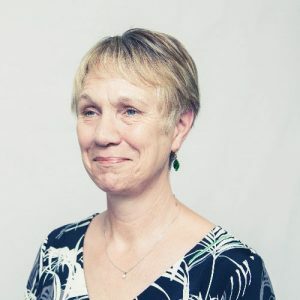 I am able to offer supervision to a diverse range of professional contexts, with a particular interest in working with organisations that support children and families. I offer clinical supervision to psychotherapists, counsellors and trainees within Bradford on Avon, Bath and Bristol. I also supervise interpreters, person centred professionals and volunteers working with refugees or other caring professions. I'm a UKCP registered MA HIP psychotherapist in private practice. I also work with the refugee charity Trauma Foundation South West - as a therapist, supervisor and group facilitator. I work with individuals and groups and enjoy the creative and collaborative nature of supervision. 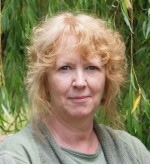 I'm a member of the teaching staff at Bath Centre of Psychotherapy and Counselling. Further UKCP accredited training with Group Analysis South West. 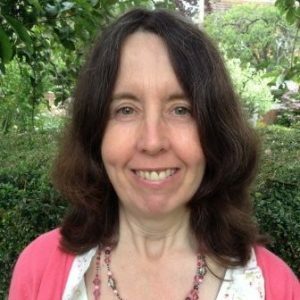 I work from my home in Gloucester offering supervision to therapists of both adults and young people. We will explore together what type and frequency of supervision will be most supportive to you based on your level of training and experience. I am an experienced, accredited BACP counsellor with a Diploma in Integrative therapeutic counselling (person centred, psychodynamic, CBT). Additionally, I am studying at the Metanoia Institute, London, for my MSc in Gestalt Psychotherapy. This supports me working at relational depth, with body process and mental health issues including personality adaptations. I work holistically, also drawing from Sensorimotor psychotherapy, mindfulness and creative approaches. I am particularly passionate about supporting clients bringing issues related to trauma, abuse, attachment issues. I work primarily with adults, although also have much experience in counselling children and young people. Before retraining as a therapist, I gained a Post Graduate Diploma in Special Educational Needs and worked as an advisory teacher of the visually impaired. I have much experience of working with individuals who have additional needs themselves or where such needs exist within the family, e.g. Asperger's Syndrome. 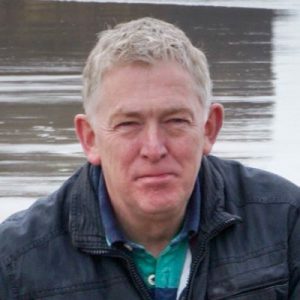 Andrew is a Consultant Clinical Psychologist in the Cardiff area with over 15 years experience of working in a range of mental health, voluntary and social services settings. 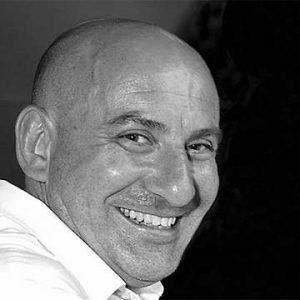 Following his undergraduate studies, Andrew completed a MSc in Forensic Psychology and was awarded his Doctorate in Clinical Psychology from the University of Cardiff in 2001. Andrew completed his supervision training between 2004 and 2008. 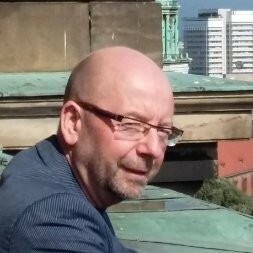 Since qualifying in 2001, Andrew has worked in the Cardiff area in forensic services, community mental health, crisis resolution and home treatment and more recently in rehabilitation and recovery services. As such, he has experience of regularly supervising a range of mental health disciplines, including: clinical psychology, psychiatry, social work, mental health nursing and occupational therapy. Andrew also has extensive training experience which he has developed as a Senior Tutor for Adult Mental Health for the South Wales Doctoral Programme in Clinical Psychology, Honorary Lecturer for the MSc in Psychiatry (2004-2008), Senior Tutor for the Association of Psychological Therapies (www.apt.ac/apttutors.html) and delivery of a number of local and national training events. 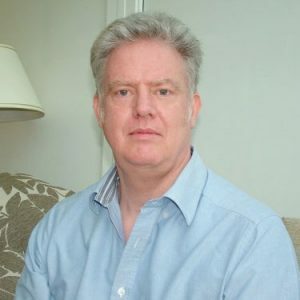 As well as full time commitments in the NHS as a Consultant Psychologist and Principle Lead for the South Wales Doctoral Programme, Andrew has been in private practice for the last 9 years or so, working with a range of clients with a range of mental health problems. Andrew is currently undertaking training in Systemic Psychotherapy at the Family Institute, University of Glamorgan.